This expansive 450 square foot luxury suite features a master bedroom with a custom king Englander mattress, separate living room, exceptional views of the Manhattan skyline, Samsung smart TVs and a Tivoli clock radio. Located on the 16th suites only floor, the One Bedroom Suite features exceptional views that span from the Hudson River to the Empire State building. 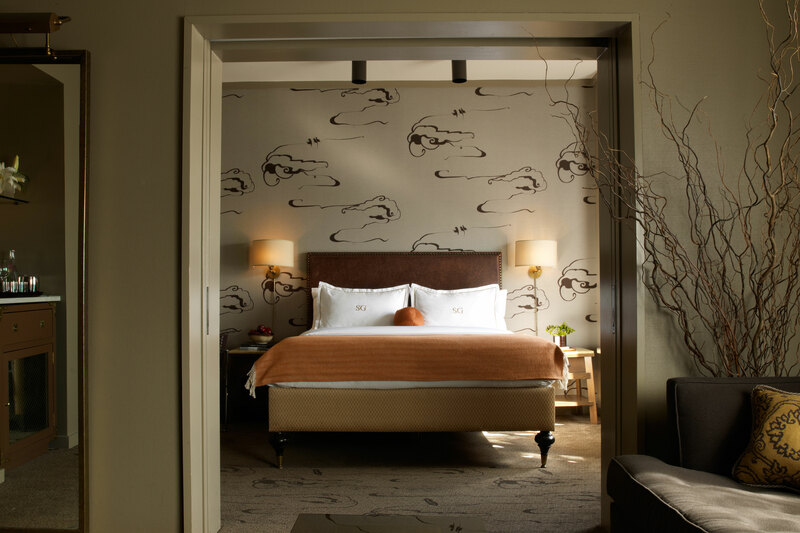 Designer William Sofield took special care in designing the luxury suites: velvet, silk, and supple leathers are juxtaposed with solid steel, marble, and wood to stunning effect. Ebonized ash plank wood flooring is accented by vintage area rugs, and the coffee table is made from recycled newspapers and magazines. 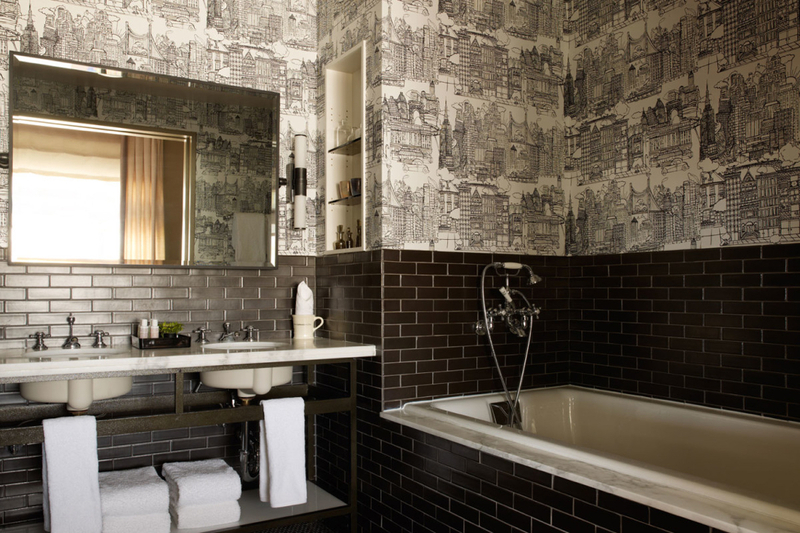 The bathroom features black subway tile, a soaking tub and a Saul Steinberg-designed cityscape wallpaper.